Repentance is retrospective awareness; this concept was taught by Osho and it is a very useful one to help us understand the power of meditation. When we are overwhelmed by a negative emotion and we are not being aware at that moment, we will react based on our habits and past conditioning. We will act in a way that is ‘out of character’ and later cannot understand why we reacted that way. But we can think back with awareness and see for ourselves how the lack of awareness brought trouble for us. We look back with awareness; that is the meaning of repentance; retrospective awareness. Osho taught that there are three moments when awareness can arise; first is awareness after an act, the second is during the act and the third is before the act. Awareness before the act is the most powerful as far as controlling our life is concerned, for example, when anger is arising, we can become aware of our anger and angry thoughts, thus allowing them to fade away before they cause us to act negatively out of habit. 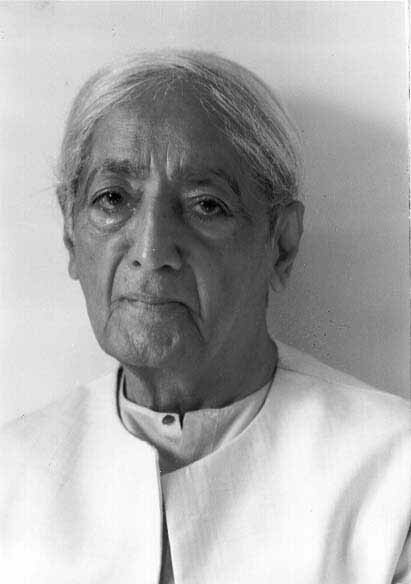 Krishnamurti view the ego as ‘thoughts’. He said, “Can one face it and understand it so completely that one is left with no conflict in life? To do that is to die to everything that thought has built up. Thought has built one’s vanity, thought has said, ‘I must achieve, become somebody, struggle, compete’. That is what thought has put together, which is one’s existence. One’s gods, churches, gurus, rituals, all that is the activity of thought, a movement of memory, experience, knowledge stored up in the brain, a material process. And when thought dominates one’s life, as it does, then thought denies love. Love is not a remembrance. Love is not an experience. Love is not desire or pleasure”. Similarly, Osho said, “Just imagine for a single moment that all thoughts have ceased…then who are you? If all thoughts cease for a single moment, then who are you? No answer will be coming. You cannot say, “I am a Catholic,” “I am a Protestant,” “I am a Hindu,” “I am a Mohammedan” — you cannot say that. All thoughts have ceased. So the Koran has disappeared, the Bible, the Gita…all words have ceased! You cannot even utter your name. All language has disappeared so you cannot say to which country you belong, to which race. When thoughts cease, who are you? An utter emptiness, nothingness, no-thingness”. “Buddha does not use the words atma, ‘self’, atta. He uses just the opposite word: ‘no-self’, anatma, anatta. He says when mind ceases, there is no self left — you have become universal, you have overflowed the boundaries of the ego, you are a pure space, uncontaminated by anything. You are just a mirror reflecting nothing. We are what we think. All that we are arises with our thoughts. With our thoughts we make the world”. That is a wonderful way of viewing it; Maya is one’s thoughts. If we are aware of our thoughts, we become aware of our ego; then we begin to take control of our mind and the direction of our life. Our destiny determines our character but equally important is the fact that our character determines our destiny. Awareness allows us to take control of our character and thus, control our destiny. Awareness during the act occurs when our lack of awareness allowed our negative emotions and thoughts to cause us to react negatively based on our habits; but during the act, we suddenly become aware and stop the act. This is useful but some damage would have been done. Awareness after the act is repentance. Osho taught that this form of awareness is useful as it builds the foundation for us to strengthen our awareness to the point where we can be aware before the act. We can act on a known problem. If we have a character flaw but are unaware of it, we will not be able to take action to improve. Therefore, the purpose of repentance is to allow us to learn from our past and strengthen our awareness. It is not meant for us to feel guilty for our sins. During our meditation, a memory of a negative event may arise. We can use it to repent for our past mistakes. We can listen with awareness as we replay in our mind the negative thoughts that arose during the event. Once we understand those thoughts, they will not have such a strong hold on us the next time they come around. We will be more capable of maintaining our awareness before our negative emotions and thoughts cause us to do something we would later regret. Only when we have awareness before we act, do we really have a choice as to how we respond to a given situation. If we are unaware, we just react out of habit; we just play out our karma. This is the purpose and power of repentance. an interesting write up on the subject, should say just beautifully explained and indeed a gem for the wayfarers…..